Hello and welcome to my online portfolio. I invite you to see my work. I'm in the Cleveland/Akron Ohio area and have been working for over 20 years in editorial, journalism, and commercial. Whether you need photography or make photos, I encourage you to call me. There is nothin I like better than talking about and making photos. 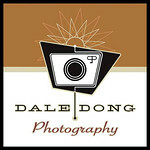 Contact me by email at daledongphoto@gmail.com or by phone/text at 330.606.3297.